Our Power Line model is the best package for poor coverage areas (1-2 bars outside) suitable for small size areas for boosting your calls. It is perfect for medium size cafes, restaurants, pubs, clubs and more up to an area of 300 sq. m. This model will boost all major Ireland Vodafone and Eir (Meteor) operators’ signals for 900 MHz frequencies. It is coming with a powerful Yagi antenna in a package. 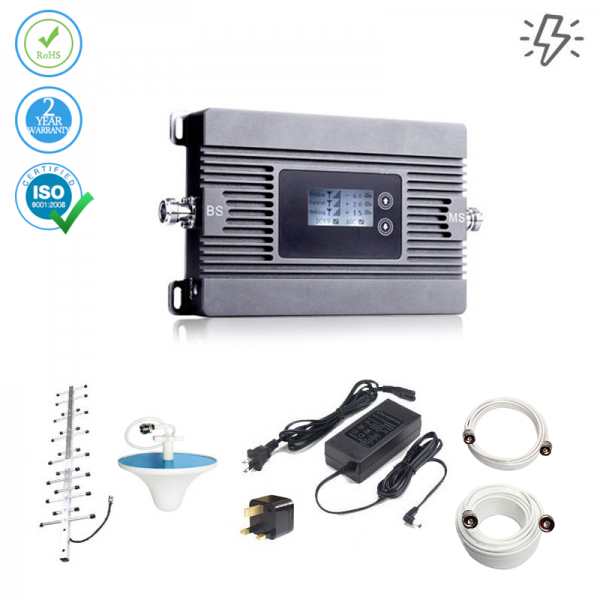 The voice model is a GSM signal booster operates on a 900 MHz GSM signal. It covers an area up to 300 sq. m. We are glad to present to you the special power line signal repeater. Our easy installation is hassle-free and everything is included in the kit for your convenience. 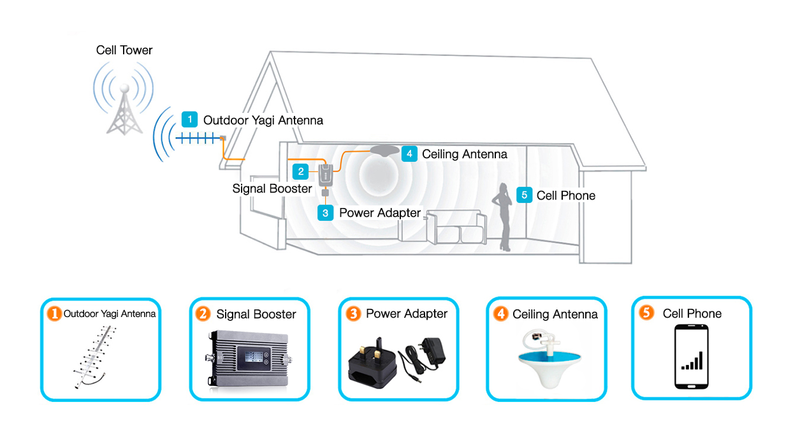 You can set up the signal booster following our simple instruction is less than 15 minutes. Our booster is emission-free, tested by professionals to guarantee its safety. Use our signal booster anywhere in the Ireland and in conjunction with all cellular service providers that support 900 MHz. Boost your signal so that your mobile phone works perfectly, anywhere and anytime. Our professional tech staff is available to help you with any issues 24/7 so that you can maintain the “5-bar” signal. The device will boost Vodafone and Eir (Meteor) network operators’ signal. I was so pleased with the results from using this booster that I've upgraded my phone for the first time in years - I can finally get some use out of it! I had a whole world of issues trying to set this up, but thanks to the help of the customer service team everything got sorted out. I can't be complimentary enough about their friendly attitude and "can-do" approach. Ever since I moved in I've been losing the will to live with my inability to use my phone inside the flat. My stepdad bought me this and I think it might be the best thing he's ever bought me! When I'm down in my workshop (or the man cave as the wife likes to call it) I can't get her calls since there's no reception out there. I can't avoid her now since she installed this booster. My phone rings every time. The amplifier came sooner than I thought and it works as expected. I don't get as good reception as I had hoped for. I have better reception in the room where the inside box is, but very little difference in the back of the house. I had hoped to be able to do away with the land line, but that won't be possible now. We "were" in a fringe area, cell reception was really poor (0 to 1 bar) and non-existent in the basement. This amplifier allowed us to have good reception in the basement 2 to 3 bar. " Made a huge difference to my reception. I can now use my cell phone indoors and it speeded up my internet connection. Received product, installed easily, worked well. I received my amplifier, followed the instructions that came with it to install it (simple), plugged it in and it worked. Easy and effective. Gave us a nice signal boost that made an office in our home possible. Top quality product - significantly improved our signal. Really simple to get going and use - unsure if it's waterproof however - we attach it to the inside of our motor home and it was spot on. 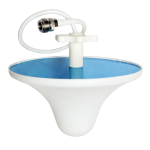 Voice Mobile Booster is a single band unit for medium size house .For £ 185 you get the full package with free Ireland delivery and 1 Year warranty!